Telecoms analyst Point Topic has today published a new report on broadband coverage across the United Kingdom, which predicts that superfast (30Mbps+) availability could hit 90.8% by the end of 2015. ISPreview.co.uk has also been able to obtain an exclusive map that splits the presence of fibre FTTx and cable (DOCSIS) networks. The new report claims that fixed line superfast broadband (30Mbps+) services were, at the end of 2012, available to 70% of households in the UK (note: it’s currently a few points higher at around 74%) and we’re told that coverage could reach 90.8% by the end of 2015 (assuming the current BT/BDUK rollout doesn’t slip again). But this will fall to just 83% in Wales and 84% in South West England. The prediction is important because it would mean that the Government’s original target of 90% might still be met (two years late? maybe not), although this is admittedly a best case scenario. The Broadband Delivery UK (BDUK) office most recently clarified that it now expected to achieve 88% coverage by the end of 2015 and 95% by 2017 (here). In terms of access technology, nearly 46% of premises (13.4 million) can currently access cable services (e.g. Virgin Media) and over 55% (16.3m) could get some form of fibre / FTTx (FTTC/P/H); this is taken as independent of any network overlaps. As usual BT’s superfast FTTC/P technologies account for the lion’s share of the FTTx deployments and, at the end of June 2013, could reach 16 million premises out of a total of 20.7 million premises in enabled exchanges. Point Topic estimates that, on average, around 75% of premises are activated within the enabled exchange (back in 2011 Openreach told us the figure was more like 85%). BT’s £2.5bn commercial fibre rollout hopes to reach 2,000 exchanges by the spring of 2014 (66% coverage or 19 million premises passed) but they could reach 90%+ via BDUK in a few years’ time. Meanwhile Virgin Media has shown little sign of expanding its cable platform, which is most likely due to basic to economics (significantly less demand outside of urban areas) and the fear of being labelled as an operator with Significant Market Power (SMP) by Ofcom (i.e. becoming subject to stricter regulation). But it’s not just BT and Virgin’s game. At the end of June 2013 Point Topic had tracked 28 active altnet fibre suppliers across the UK. It’s estimated that these ISPs covered around 3% of premises in the UK and a few of them are already offering Gigabit (1000Mbps+) capable speeds, such as B4RN, Hyperoptic, Gigaclear and CityFibre (Gigler). The chart below shows the top theoretical broadband speeds available to premises in the UK (June 2013 data). Take note that this considers network overlaps and so the results reflect the fastest network (i.e. around 30% can’t access a superfast service (e.g. cable) and cable would be beaten if faster FTTP or AltNets are available in the area). Point Topic’s report also contains lots of interesting information about standard broadband services. For example, it confirms that 2,546 BT exchanges serving 88% of UK homes and businesses are now enabled for WBC offering an up to 20Mbps broadband service via copper based ADSL2+ technology (up from 79% and 1,870 exchanges at the end of 2011); we know that BT also plans to reach about 92% over the next half year or so with its related WBC / 21CN network. Meanwhile BT’s slower ADSL Max (up to 8Mbps) technology covers 99.9% of premises within the UK and is enabled at all but 86 telephone exchanges (73 of which are in Scotland). Practically all of those homes that reside in areas where only ADSL Max is available are rural (i.e. last 5-10% / not commercially viable to upgrade). By comparison Local Loop Unbundled (LLU) services, which allows ISPs like Sky Broadband and TalkTalk to install their own kit in BT’s exchanges for cheaper and sometimes faster ADSL2+ products, continue to rise and can now reach 92.4% of homes and businesses in the country (up from 89% at the end of 2011 and 84% at the end of 2010); this exceeds BT’s own WBC / 21CN roll-out. Sky Broadband’s LLU coverage has extended to a further 1.3 million premises following the recent acquisition of O2 and BE Broadband’s fixed line customer base, although they’ve still not exceeded TalkTalk’s reach. Overall LLU growth is slowing as commercial ISPs can only push so far into rural areas before running into issues of economic viability (much of the UK’s last 5-10% is rural). It should be said that not all of the details in the above article have come from Point Topic’s public report and some of the information has been supplied exclusively to ISPreview.co.uk. In fact we can’t thank Point Topic enough for going out of their way to produce a map for us that displays the 2015 coverage of UK superfast broadband by technology (below). Just to clarify. The following map shows the predicted presence of, rather than actual coverage penetration, for fibre based (FTTx) and cable networks. In other words not everybody within the coloured areas will be able to receive the respective technology but you can get an idea of which areas are almost certain to be left out. Another way of looking at which areas might be able to benefit from superfast broadband in 2015 is by using a “prediction” scale (red = less likely to get superfast connectivity / green = almost certain to get it). The full report contains significantly more detail than we’ve covered here and is well worth a read. So looking at the Superfast 2015 map by tech that makes a mockery of those (and it is a common comment) that BT are only rolling out FTTC in areas where Virgin’s cable network exist. I think in fairness you should use a 2012 map to examine that as the aspect you mention typically references existing commercial deployments, while the 2015 map is showcasing a lot of BT’s BDUK based expansion and so would have obviously gone beyond the earlier urban focus. Also remember the first one is displaying a presence rather than actual coverage. This is also from Point Topic and some of their “analytical” information in the past has not exactly been accurate. I do not comment on here as much as i did in years gone by but im sure other regular contributors including Fred have called them out on some of their claims previously. South West of England 84% = Fail. 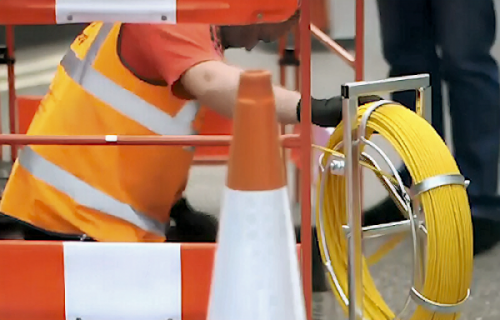 Openreach engineer told me two weeks ago that Telford & Wrekin will get 100% FTTC by the end of 2015. And got email from openreach to say my cabinet will be upgrade in my area by end of this year. Well done BT. Well if it is on target no one has told any of the 26000 that pull off my exchange. They won’t tell you, unless you really pressure your local council or BT for more information. The normal public statements tend to be quite generic. And the Point Topic study is way too optimistic and doesn’t fully reflect the reality. Neither Point Topic, nor Fibre Fred, nor his beloved BT can get around the laws of physics as regards old copper wires. There is a fundamental misunderstanding with coverage maps. The fact that a BT exchange is enabled does NOT mean that the service is available for all the subscribers on that exchange. I am 8km away from the exchange, with naff old cables. We have no land-line broadband at all, and must use satellite. Mobile phone coverage maps are just as misleading; the small percentage with poor or no coverage just happens to be in valleys where people actually live, most of the coverage area being hills with only sheep and fir trees. The only way is to move house to be nearby exchange or FTTC enabled area. 8km away is really bad indeed. BT are useless in the old day haven’t thought about future broadband technology on the phone line. So when the GPO installed phone lines 60 years ago they should have thought about broadband? I think what’s being suggested is that from 1984 to, lets say, 2004, the regulation of telecomms sought basically to maintain the voice analogue network, whilst the world was moving on. Even now regulation is stuck in the world of the (often) pre-war network of telephone exchanges. Privatisation was basically half-baked and BT spent most of the time trying to run a network despite the regulatory straightjacket whilst Oftel/Ofcom tried to preserve the past and (half-heartedly it seemed) prepare for the future at the same time. A gross over-simplification but with more than a grain of truth. It’s the English way: half of us want to cling to the past whilst the other half bewail that we’re stuck in the past; and often it’s the same half.